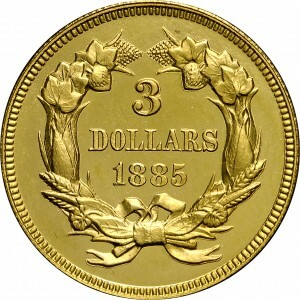 The 1885 $3 gold was a very low mintage issue, with just 800 circulation strikes and 110 Proofs coined. These Proofs were minted throughout the year. Official records provide the following deliveries: 38 in January, 16 in March, 15 in June, 1 in October, and 36 in December. 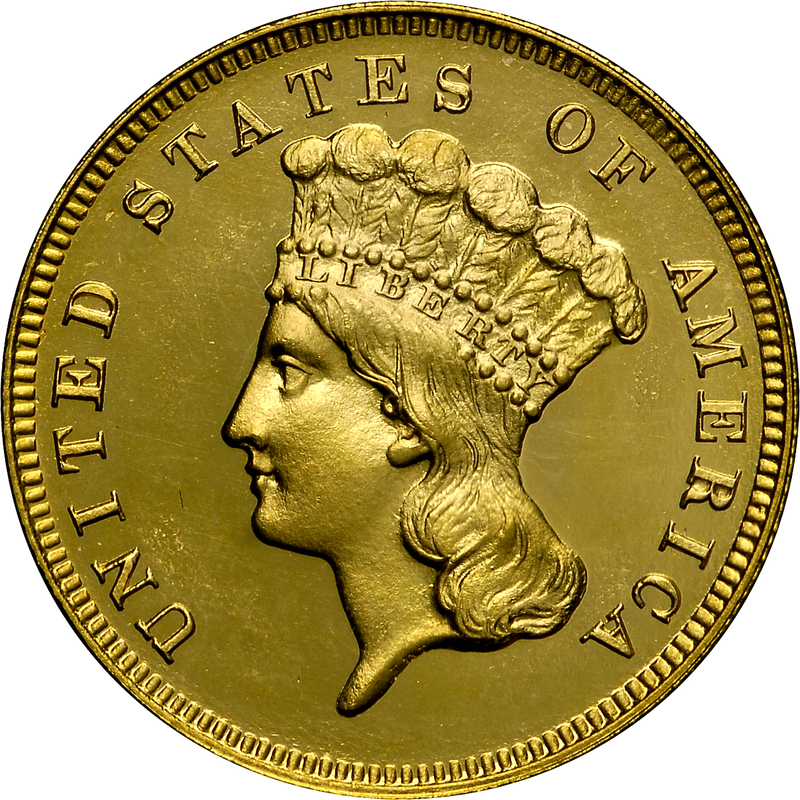 It is interesting to speculate why a single Proof was minted in October. Probably about 50 proof examples survive in numismatic collections. 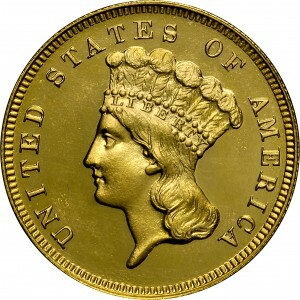 From Stack's sale of the DiBello Collection, May 1970, Lot 786. 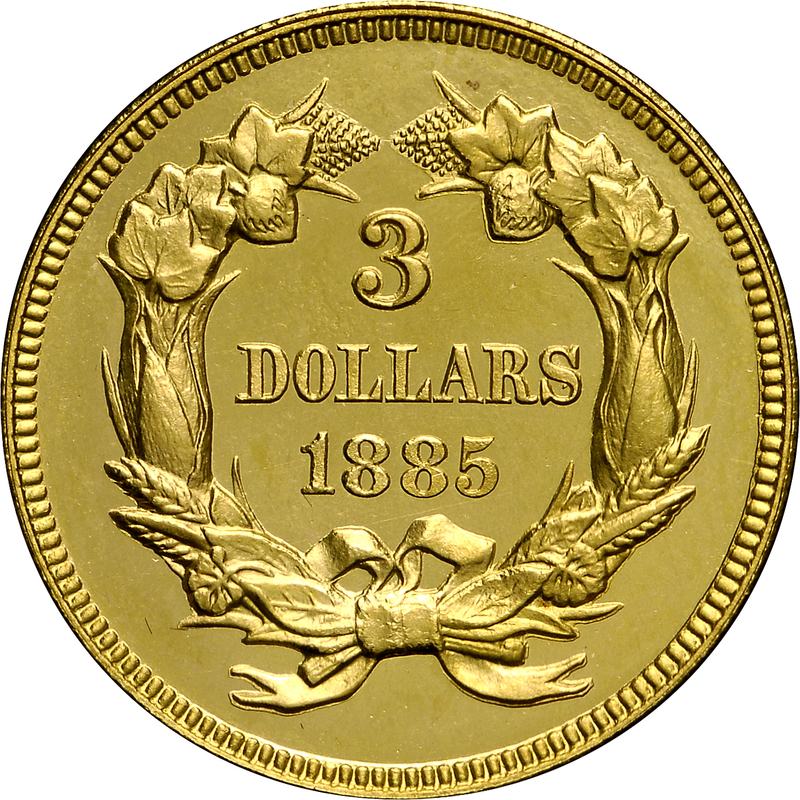 (adapted): "Obverse: Two-thirds J.B.L. visible. R filled. Reverse: Date a bit low, level. 8 above square topped bow loop, loops open and complete ribbon. Wide Proof edge."